Prelude: Can you believe the first month of 2015 is nearly over?! I guess I've been having a LOT of fun, because time has really been flying lately! I'm so happy to be part of Club Scrap's blog hop featuring the January 2015 collection, Constellations. 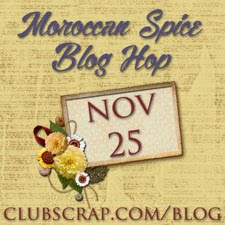 To start from the beginning, click HERE for the Club Scrap blog. 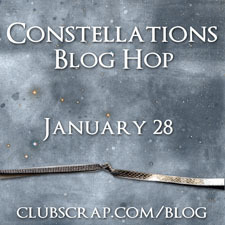 There you can find a list of all the bloggers showcasing their Constellations creations this month. If you are following the hopping order and you just came from Hetty's blog, Craft Chaos, you are in the right spot! Anyway, I opted to use stars instead of candles for my cards. Here they are. This card (we'll call it Card #1) uses a base and panels from the set of 3.5x5" cards in the Constellations Greetings to Go pack. For Card #1, I used Spellbinders A2 Curved Matting Basics A dies--the two smallest dies. 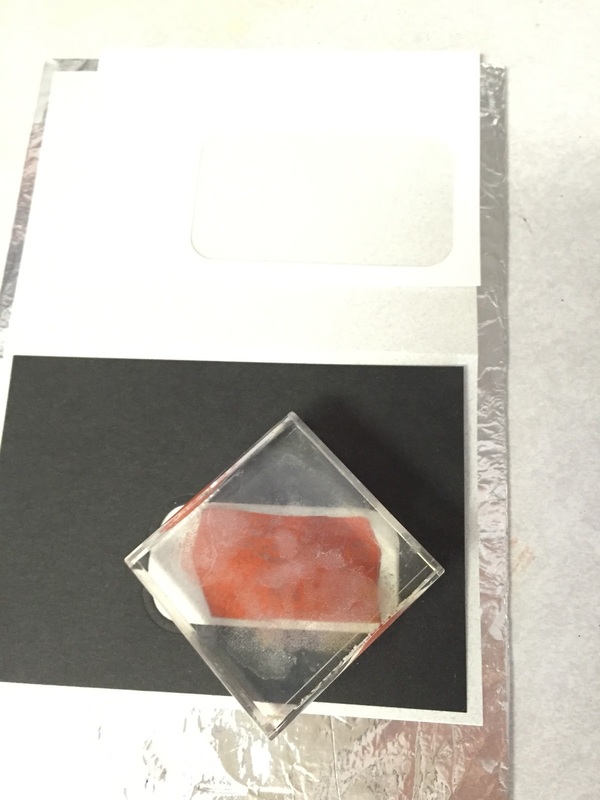 After lining up the panels, I placed the larger die on the top panel and taped it in place. (Tip: Instead of using tape right off the roll, stick a piece to your jeans or sweater to get some lint on it--really helps when removing it from your paper!) I ran the White panel through the diecut machine. Once the window was cut in the top panel, I lined up the smaller die on the bottom panel. Placed a piece of linty tape again, and ran the Black panel through the machine. My "Make a wish" greeting was stamped on the card base--I used the window in the Black panel to line it up. I sprinkled black glittery embossing powder on the greeting, heat set it, and added a star brad. Here's Card #2 again. I love how the ribbon makes it look like a gift and how the metallic silver is repeated in the stars. Makes me smile! This year, I'd like to add some information about my craft room and how I organize my large amount of supplies. I have to admit, it's really too big to call it a craft "room." In our last house, I crafted in a room that was about the size of a small walk-in closet. When we built this house (the first, and hopefully last house, we've ever built), I knew I wanted a large, expansive place to get creative. I call it a craft "studio," as it is quite large! My stamps are kept in binders on a counter. On the left, I have holidays and occasions, so I only have to pull out one binder if I'm working on baby or Valentine cards. I made tags out of metal tags inked with alcohol inks. I then made labels that tell me either the holiday/occasion included in the binder or the months/years inside. 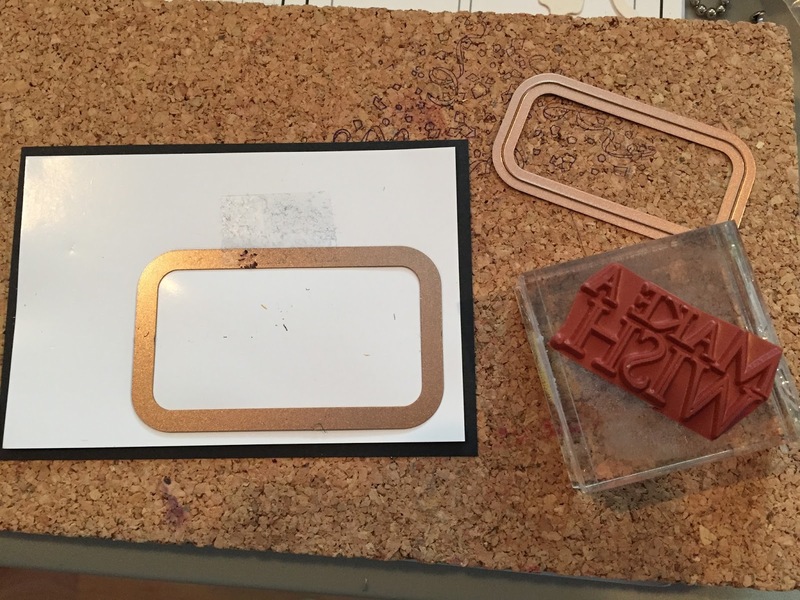 The other supplies I use are Club Scrap's Mount-It adhesive, Tim Holtz scissors (mine have black duct tape on them because a puppy got hold of them a few years ago), basic sheet protectors, and white card stock. After putting adhesive on them, I store my stamps on the outside of the page protector with the plain white card stock inside for a bit of stiffness (but not much bulk). I use the index sheets included with the stamps to print out TWO pages (at 100%). I use one under the stamps--really helps me to know if I've forgotten to put a stamp away--and another on the left side so I can read the text. Since Club Scrap has reduced the number of sheets of stamps with each collection, I'm able to put the largest one by itself on one page, and then after that I have the Borders & Backgrounds sheet and the Art Nouveau and Greetings sheets below. Just two "pages" per collection in my binder. I'm now able to fit an entire year of stamps into a 4" binder. 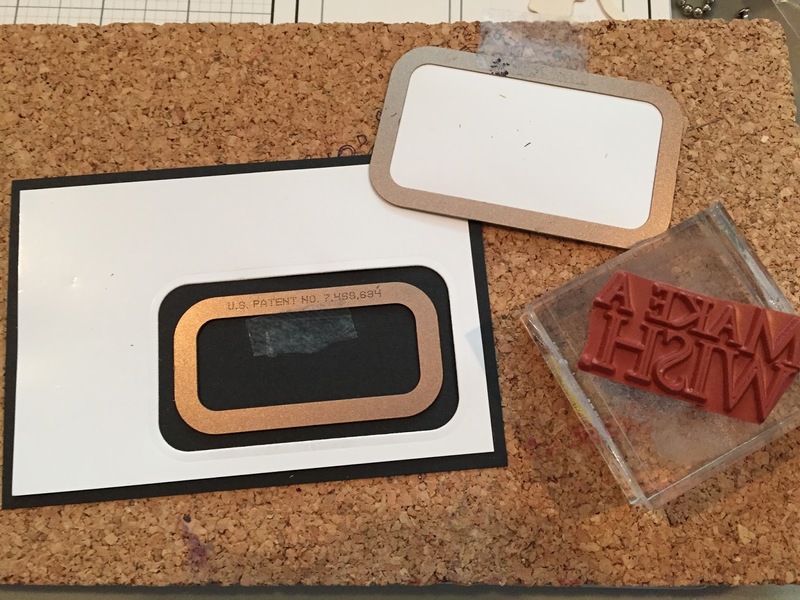 (As a bonus pic, here's one collection's 4-sheet UM stamps with Mount-It on it (I use my finger to spread it out--I feel there is less waste than using a paint or foam brush). This set is ready to cut out and place on the page protectors with the copied index sheets inside. Hope you enjoyed my Constellations' "Make a wish" cards and the little tour of my UM collection. If you leave a comment below (and I read them all! ), let me know what area of my studio you'd like me to feature next month. I promise to get it all cleaned up and organized before snapping photos! The next stop on the Constellations blog hop is Ann's blog Crzymom's Tidbits. Can't wait to see what Ann has in store for us! Awesome - love the elegant card using rounded corner dies and tremendous stamp storage. Thanks Lisa. Lovely cards.I like them clean and simple. Your stamp storage looks like mine,just abit more elegant! I agree, clean and simple!! Yes, indeed . . . you do create well under pressure! And thank you for the bonus info on your stamp organization. What a beautiful display. :) Thanks for hopping with us! Next month . . . your paper? Ah, paper, there is so much paper! Lisa thank you so much for the idea of copying the index sheets so you have them on both sides of the binder. I know that seems like a simple idea but I recently swapped from HALOS to the mount-it and I really need to go back and do this for ALL my months! Thanks for the brain nugget! It helps me BIG time, Janet, to have the pages on the left in the binders. I find myself only looking at those when I'm flipping through. Great cards and thanks for sharing how you store your stamps. I'm in re-org process now. See..you do create well under pressure. Awesome cards. Thanks for sharing these cards! I love the use of the silver embossing powder - goes so well with this kit! I like seeing your organization style too. I agree that using two copies of the index sheet must be very helpful! I'm still sticking with keeping my rubber UMs in CD cases for easy transport, but this system looks great too! Love your cards Lisa and the use of dies is always a fun trick! Love your elegant cards! It will be fun to see how you organize your craft room each month. Beautiful cards! Thanks for sharing your organization system with us. Have a great day! Thanks so much for sharing your cards and the info/photos about how your store your stamps! Love your cards. The silver ribbon is such an elegant and festive touch! Your card is a hit. Thanks for hte extra info about how to organize the stamps. Great card designs and thanks for showing your stamp organization. Beautiful cards! I love the die cut enhancements! So creative! Beautiful cards and thanks for adding photos of how you store your stamps. I have a similar collection but am way behind in getting the stamps cut and mounted. Great job!